The Ticket Factory - Pete Tong, Daryl Hall & John Oates, Hugh Jackman, Professor Brian Cox, The Austrlian Pink Floyd Show and What's Love Got To Do With It? Jackman, Professor Brian Cox, The Australian Pink Floyd Show and What's Love Got To Do With It? Daryl Hall and John Oates, Hugh Jackman: The Man. The Music. The Show, What's Love Go To Do With It? The Australian Pink Floyd Show and Professor Brian Cox are on general sale from tomorrow. Pete Tong’s Ibiza Classics will be back with a brand new show in December 2019 for their biggest UK tour to date! Celebrating the legacy of dance music, the 2019 the show will see bigger production, more special guests and some of the best tracks to come out of Ibiza in the past 20 years. See Pete Tong's Ibiza Classics live at the Arena Birmingham on Wednesday 11th December 2019. Tickets start at £40.75 and go on-sale 9:30am Friday 7th December. Daryl Hall & John Oates, the biggest selling music duo in HISTORY, have announced four arena shows through the UK in April and May 2019. This will be the first Daryl Hall & John Oates headline tour in the UK for five years. announced his first world tour. The Man. The Music. The Show. will see Jackman performing hit songs from The Greatest Showman, Les Miserable and more from Broadway and film, accompanied by a live orchestra. The Man. The Music. The Show. will take place in four UK dates across May and June 2019. It will span more than 50 towns and cities across the UK in 2019 and into 2020, and is brought to you by the award-winning producers behind the hugely successful Whitney - Queen Of The Night. In this brand-new touring theatre show, audiences can expect a night of high energy, feel-good rock-and-roll featuring Tina's greatest hits performed by the amazing vocal talent of Elesha Paul Moses (Whitney - Queen Of The Night, The Voice, X Factor) supported by a full 10-piece live band. Performing the music of Pink Floyd with note for note perfection, this critically acclaimed tribute show has been astonishing audiences worldwide. Striving to reproduce the Pink Floyd experience and bring the music to new audiences, the show continues to include a stunning light and laser show, video animations, state of the art high resolution LED screen technology and other special effects. To accompany these visuals are several large inflatables including a giant pig and their own distinct Pink Kangaroo. Welcome to the latest newsletter from ATG Tickets and Silverbean. Public booking will open at 9am Friday 30 November. Les Miserables comes to Liverpool! ATG Tickets are pleased to announce Les Misérables is coming to Liverpool Empire Theatre in October 2019. After nearly a decade since the last sell-out UK tour, Cameron Mackintosh’s acclaimed Broadway production of Boublil and Schönberg’s musical Les Misérables will tour the UK in 2019. This brilliant new staging has taken the world by storm and has been hailed ‘Les Mis for the 21st Century’. With scenery inspired by the paintings of Victor Hugo, the magnificent score of Les Misérables includes the songs: I Dreamed a Dream, On My Own, Bring Him Home, One Day More, Master Of The House and many more. Seen by over 120 million people worldwide in 45 countries and in 22 languages, Les Misérables is undisputedly one of the world’s most popular musicals. Showing at Liverpool Empire Theatre from Wednesday 9th to Saturday 26th October 2019. Tickets go on general sale Friday 30th November. Welcome to the latest newsletter from LOVEtheatre and Silverbean. Our favourite time of year is here! #LOVEtheatreDay 2018 is on 14th November. The day unites performing arts professionals and aficionados worldwide to applaud all things theatre. 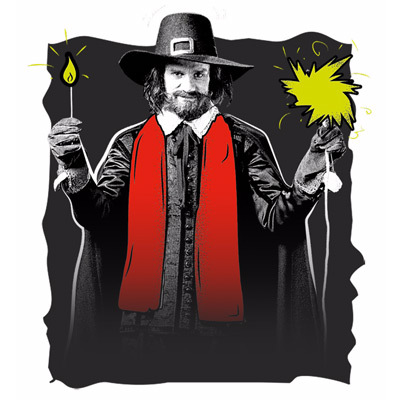 What better way to celebrate then with discounted London theatre tickets. Take a look at some of the best offers available on Friday 14th November for #LOVEtheatreDay, including up to 54% off the extraordinary Dreamgirls, upto 43% off Bat Out of Hell - The Musical, and up to 53% off Arthur Miller's ground-breaking 'The American Clock'. Meet The Dreams – Effie, Lorrell and Deena – three talented young singers in the turbulent 1960s, a revolutionary time in American music history. With an extraordinary story and unforgettable, spine-tingling vocals, this spectacular musical production soars with the classic songs, 'And I Am Telling You I’m Not Going', 'I Am Changing', 'Listen' and 'One Night Only'. Dreamgirls runs until 12th January 2019 at the Savoy Theatre. Join Strat, the forever young leader of rebellious gang 'The Lost' as he falls in love with Raven, the beautiful daughter of the tyrannical ruler of post-apocalyptic Obsidian. Featuring Meat Loaf’s iconic hits including I’d Do Anything For Love (But I Won’t Do That), It’s All Coming Back To Me Now, and Paradise By The Dashboard Light, this is a musical production like no other. Bat Out of Hell - The Musical runs until 5th January 2019 at the Dominion Theatre. Visionary director Rachel Chavkin presents Arthur Miller’s The American Clock at The Old Vic. The American Clock turns, fortunes are made and lives are broken. In New York City in 1929, the stock market crashed and everything changed. In an American society governed by race and class, we meet the Baum family as they navigate the aftermath of an unprecedented financial crisis. The world pulses with a soundtrack fusing 1920s swing and jazz with a fiercely contemporary sound, creating a backdrop that spans a vast horizon from choking high rises to rural heartlands. Don't miss Arthur Miller's ground-breaking play about hope, idealism and a nation’s unwavering faith in capitalism. The American Clock opens on 4th Febuary, and runs until 30th March 2019 at The Old Vic. Tickets available from £24.36. In Association with LOVEtheatre's Exclusive Affiliate Partners Agency. The Book of Mormon Comes To Manchester! ATG Tickets - The Book of Mormon Comes To Manchester! The nine-time Tony Award, and four-time Olivier winning Best Musical, The Book Of Mormon comes to Palace Theatre Manchester in 2019. This outrageous musical comedy from creators of South Park, Trey Parker and Matt Stone, and Bobby Lopez co-writer of Avenue Q and Frozen, follows the misadventures of a mismatched pair of missionaries, sent on a mission to a place that’s about as far from Salt Lake City as you can get. Now with sold out productions in London, on Broadway, and in North America, Melbourne and Sydney, The Book of Mormon has become a worldwide sensation. Tickets are onsale 10am on Wednesday 14th November. STOP RIGHT NOW, the speculation is over! Get ready to SPICE UP YOUR LIFE! Two decades after the Spice Girls revolutionised the 90’s pop landscape - Emma, Mel B, Melanie C and Geri WANNABE back together on tour! See the Spice Girls at the Ricoh Arena, Coventry on the 3rd June 2019. Tickets go-onsale tomorrow, Saturday 10th November at 10:30am. The Ticket Factory are pleased to announce that tickets for Little Mix, Westlife, Il Divo and Mrs Brown's Boys D'Musical are on general sale this week. Pop superstars Little Mix have announced 'The LM5 Tour', a massive UK and Ireland Arena Tour for 2019. Kicking off in Dublin on 10th October, the run of live shows will see two dates at Birmingham's Genting Arena (soon to be Resorts World Arena). The shows will see Little Mix perform songs from their brand new album LM5, alongside their greatest hits including 'Touch', ‘Shout Out to My Ex', ‘Black Magic’ and ‘Wings'. See Little Mix on Friday 8th or Saturday 9th November 2019 at the Genting Arena from just £34.50. Tickets are on-sale Friday 26th October from 9:00am. The UK's top selling album group of the 21st century, Westlife, will be touring the UK and Ireland for the first time in seven years. Il Divo are bringing the Timeless - Greatest Hits Live 2019 tour to the Arena Birmingham on Saturday 29th June 2019! Mrs. Brown’s Boys D’Musical? promises to take audiences on an exhilarating, side splitting and musical adventure. Brendan O’Carroll said: “Mrs Brown’s Boys D’Musical? will have you crying with laughter, tapping your toes and you will leave the show singing and smiling to yourself. LOVEtheatre - Company opens to rave reviews! LOVEtheatre are pleased to announce that Company, the iconic musical about life, love and marriage, opened last night at thew Gielgud Theatre in a new production which sees the main role of 'Bobby' re-imagined for the first time as a woman. At Bobbi’s 35th birthday party all her friends are wondering why isn’t she married? Why can’t she find the right man? Why doesn’t she settle down and have a family? One thing is for certain; you will fall in love with Company. Don't miss out- visit the Gieguld Theatre until 30th March 2019 to see Company, with tickets from less than £25! The Ticket Factory are pleased to announce that tickets for The World of Hans Zimmer, the Magic of Motown and The X Factor Live Tour 2019 are on general sale this week. Legendary composer Hans Zimmer has announced a spectacular new tour, ‘The World of Hans Zimmer’, set to tour the UK in March 2019. Under the direction of Gavin Greenaway, Hans Zimmer’s soundtrack conductor – whom, he says, he trusts more than he trusts himself – a large symphony orchestra will deliver an intense and unforgettable concert experience in arenas around the country, including London’s iconic Wembley Arena. See ‘The World of Hans Zimmer’ tour between Wednesday 20th and Saturday 23rd March 2019 from just £46.50. Tickets are on-sale Friday 19th October from 10:00am. Seen by over a million people, it's no surprise that the Magic of Motown show is one of the biggest success stories in British theatre history, even performing for Her Majesty the Queen, as special guests at the Royal Variety Performance. choose their own winner…each and every night! The X Factor digital host, Becca Dudley, will be on the road with the contestants and presenting the tour competition each night. And at the end of each show, the audience will then become the judges – and choose the winner! The Ticket Factory - Olly Murs, Mumford & Sons, Post Malone, The Wonderful World of Disney On Ice & More! The Ticket Factory are pleased to announce that tickets for Olly Murs, Mumford & Sons, Post Malone, The Wonderful World of Disney on Ice, BBC's Sports Personality of the Year, The King Is Back – Ben Portsmouth Is Elvis and Fastlove (A Tribute To George Michael) are on general sale this week. Following the release of his swaggering new single ‘Moves’ featuring Snoop Dogg, Olly Murs returns with his dazzling new album ‘You Know I Know’, out November 9th on RCA Records. Mumford & Sons are excited to announce details of a huge world arena tour in support of their forthcoming fourth album, Delta. An incredible 800,000 tickets go on sale for sixty dates from Friday 12th October, heralding the band’s biggest tour since forming ten years ago, and they’ll perform the show on a new ground-breaking stage right across the middle of the room. Support in the UK comes from the magnificent Maggie Rogers. Post Malone is an American HipHop / RnB singer and producer from Grapevine, Texas. Since his breakthrough hit song 'White Iverson' in 2015, Malone has since gone on to work with the likes of 50 Cent, Young Thug and Kanye West, along with being the opening act on Justin Bieber's Purpose World Tour. Now in its 65th year, BBC Sports Personality of the Year 2018 is set to evolve once again – bringing with it a host of new and exciting changes. For the first time ever, the contenders nominated to be crowned BBC Sports Personality of the Year 2018 will be announced on the night of the show with fewer names in the running. As always, the public will decide who is set to emulate 2017 winner Mo Farah and walk away with the much-coveted trophy. The Wonderful World of Disney On Ice! Join Mickey Mouse and Minnie Mouse on an inspiring walk down memory lane, and Dory is back with friends Nemo and Marlin from DisneyPixar’s Finding Dory. Travel to Arendelle with Anna, Elsa and Olaf from Disney’s Frozen plus Snow White and the Seven Dwarfs make their own magic and reveal we can do ANYTHING with our friends in tow. Nothing is out of reach for Rapunzel as her friends help light the way and Buzz and Woody will have you jumping out of your seat in a foot-stomping throwdown. Simba, Timon and Pumbaa prowl the Pridelands; Jasmine, Aladdin and Genie show friendship is fearless; and your favourite Disney Princesses stay strong and journey on. Get ready for an unforgettable evening celebrating the global superstar that is George Michael. Make new memories whilst reliving old classics. The show features all his hits including Father Figure, Freedom, Faith and many more. This is one show-stopping extravaganza you do not want to miss! Ben, a multi talented musician, singer and songwriter had Elvis's DNA in his blood from an early age. His father was an avid Elvis fan and Ben grew up on a diet of Elvis songs. Having honed his musical talent Ben started his journey as an Elvis Tribute Artist in 2005 when he formed the "Taking care of Elvis" band. are on sale tomorrow, Friday 28th September from 9:30am. 2019 marks Take That’s 30th Anniversary. To celebrate their milestone, the band have announced a massive UK arena and stadium tour performing all their much loved greatest hits live. They will also be joined by special guest Rick Astley. £61.25 and are on-sale tomorrow, Friday 28th September from 9:30am. LOVEtheatre are pleased to announce 9-5 The Musical is clocking in to the West End - with a strictly limited West End season at The Savoy Theatre. Starring Louise Redknapp, Amber Davies, Natalie McQueen and Brian Conley, the smash-hit show features an original Oscar, Grammy and Tony award-nominated score by country legend and pop icon Dolly Parton. 9 to 5 The Musical will open Monday 28th January 2019 for a strictly limited season. LOVEtheatre have launched a dedicated waiting list for 9 to 5 The Musical which has been deeplinked below. The 5 day cookie window in place in the program will ensure you are rewarded for sales you influence. The Ticket Factory - Shakin' Stevens, Boyzone & London Art Fair. The Ticket Factory are pleased to announce that tickets for Shakin' Stevens, Boyzone and the London Art Fair are on general sale this week. One of the linchpins of the British rock & roll revival of the 1970s and 80s, Shakin' Stevens ranks among the most persistent performers ever to emerge, ultimately, as a superstar. Stevens has no less than 30 UK Top 40 hits to his name, almost all of them racked up during a five-year span of chart invincibility. See Shakin' Stevens on Tuesday 5th March 2019 at the New Alexandra Theatre, Birmingham. After six UK #1 singles, five UK #1 albums and 25 years together, the iconic Boyzone will release their final album ‘Thank You & Goodnight’ on November 16th. They’ve have now added new dates to their 25th anniversary and farewell UK and Ireland arena tour which commences in January. For over 31 years London Art Fair has given access to exceptional modern and contemporary art, as well as expert insight into the changing international market. The Fair is an established destination for both museum work with 130 galleries from the world’s foremost artists. *Please note: Advance ticket prices end midnight 15 January. A £1.75 booking fee applies per advance ticket purchase. Children under 16 can visit for free when accompanied by an adult with a valid ticket, collected on arrival. Max x2 children..Carers are entitled to a free ticket when attending with a person with proof of disability. The Ticket Factory - Fatboy Slim, OZZY OSBOURNE, Nile Rodgers & CHIC and Steely Dan. Rodgers & Chic and Steely Dan are on general sale this week. Fatboy Slim has announced that he will be taking his hugely immersive In the Round Show to cities across the UK in February and March 2019. Fatboy Slim is aiming to create the UK’s biggest dance floors turning our favourite arenas into unique night club experiences. Imagine something unusual and completely different. Expect a big production, a revolving stage, rave ushers and a live smiley face experience. No seat in the house will ever far away from the stage. it will be the largest dance floor ever created at Arena Birmingham. Rock and Roll Hall of Fame inductee and Grammy®-winning singer and songwriter OZZY OSBOURNE revealed details about his forthcoming "No More Tours 2". The 2019 European leg produced by Live Nation kicks off in Dublin on 30th January with dates scheduled throughout the UK, including a date at the Genting Arena in Birmingham. "I've been extremely blessed to have had two successful music careers," OSBOURNE says. "I'm looking at this final tour as being a huge celebration for my fans and anyone who has enjoyed my music over the past five decades." Hall of Fame and The Chief Creative Advisor for the iconic Abbey Road Studios. See Nile Rodgers & CHIC on Sunday 16th December 2018 at the Arena Birmingham. Grammy Award winning jazz rock band Steely Dan have announced a U.K. arena tour. With over 40 million albums sold worldwide Donald Fagen will be joined by special guest Steve Winwood. Steely Dan have celebrated a long history of success having worked with the likes of multi-award winning singers Barbara Streisand and Diana Ross. LOVEtheatre are pleased to announce that Matt Cardle has now joined Jonny Labey and Zizi Strallen in the cast of Strictly Ballroom the Musical at the Piccadilly Theatre. *Offer available Monday, Tuesday, Wednesday, Thursday and Friday performances (exclusions may apply & subject to availability) up to Friday 14th September 2018. Offer ends Sunday 5th August 2018. Dancing With Myself, Sugar Sugar, It’s the End of the World as We Know It, Teardrops and Love Is in The Air. The Ticket Factory are pleased to announce that tickets for Chris Tucker, The Vamps, the 2019 Gymnastics World Cup, Cage Warriors 98 and Ocean Colour Scene are on general sale this week. American superstar comic and award-winning actor Chris Tucker is delighted to announce he is returning to the UK to perform a limited four shows later this year. In his first shows since his UK debut in 2012, this tour will see the stand up bring his brand new live comedy show to the Arena Birmingham on Thursday 27th September 2018. Chris Tucker is an international award-winning actor and comedian best known for playing the role of Detective James Carter in Brett Ratner’s Rush Hour film series. He has also starred in Friday, Money Talks, The Fifth Element, Silver Linings Playbook and Billy Lynn’s Long Halftime Walk. Outside of comedy, Tucker is a dedicated humanitarian, spending much of his spare time travelling around the world, doing philanthropic work to make a difference through his Chris Tucker Foundation. Catch Chris Tucker Live On Stage on Thursday 27th September 2018 at the Arena Birmingham. The Vamps are certainly having a busy Summer! From the release of their highly anticipated new album Night & Day (Day Edition), and fresh from a US promo tour they now return to the UK with the announcement of their Four Corners UK & Ireland 2019 Tour. this global stage. Which nations will emerge victorious? Cage Warriors 98 is coming to the Genting Arena in Birmingham on Saturday 20th October 2018! Tickets are on general sale from Thursday 26th July at 10:00am. Ocean Colour Scene are a 90s indie rock-pop band whose sixties retro sound, coupled with their obvious individual talents and collective knack of reaching the heart and soul of the nation's music buying public, has certainly paid off. LEGOLAND Discovery Centre Manchester is the ultimate indoor LEGO Playground and offers an inspirational and unique day out for all the family! LEGOLAND Discovery Centres are designed specifically for children aged 3-10 years to enjoy – everything is child sized! As soon as you step in the door, you’ll feel as though you have jumped into the biggest box of LEGO bricks! There are over 2 million LEGO bricks under our roof! 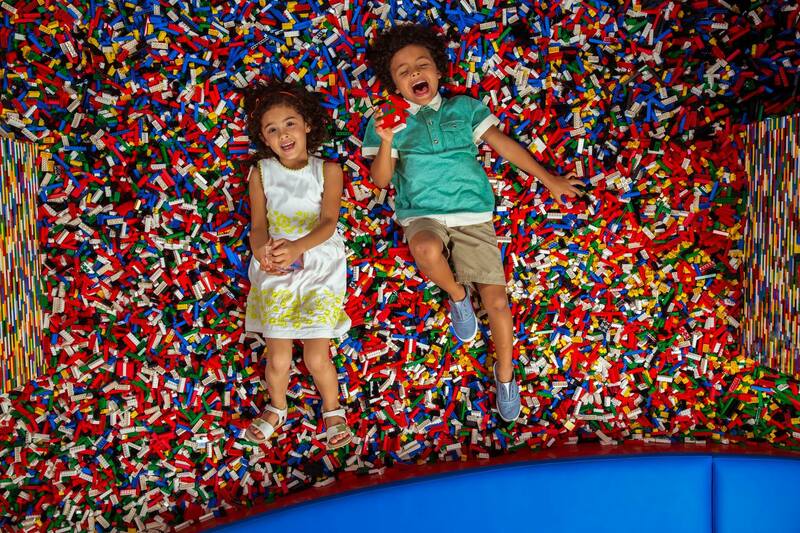 This Summer, you can get great savings when you visit LEGOLAND Discovery Centre Manchester when you book online, at least 24 hours in advance. Make the most of our busiest time of the year and earn 8% commission on the total ticket price by promoting our online booking discounts and benefits. It's always cheaper when you book online! Buy our Online Saver Ticket and save £4 compared to walk up prices and guarantee your entry during the busy summer season! Save £4 on individual admission prices by booking online and at least 24 hours in advance with our Online Saver Ticket. Buy our Combi Ticket online and in advance to get entry to 2 great Manchester attractions for one price and to save £4 compared to the walk up price! 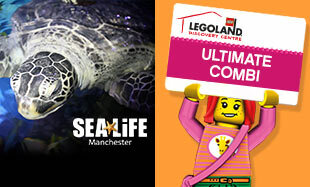 Make the most of your trip to Manchester, visit LEGOLAND Discovery Centre and SEA LIFE Manchester for one great, discounted price when you book online and at least 24 hours in advance. 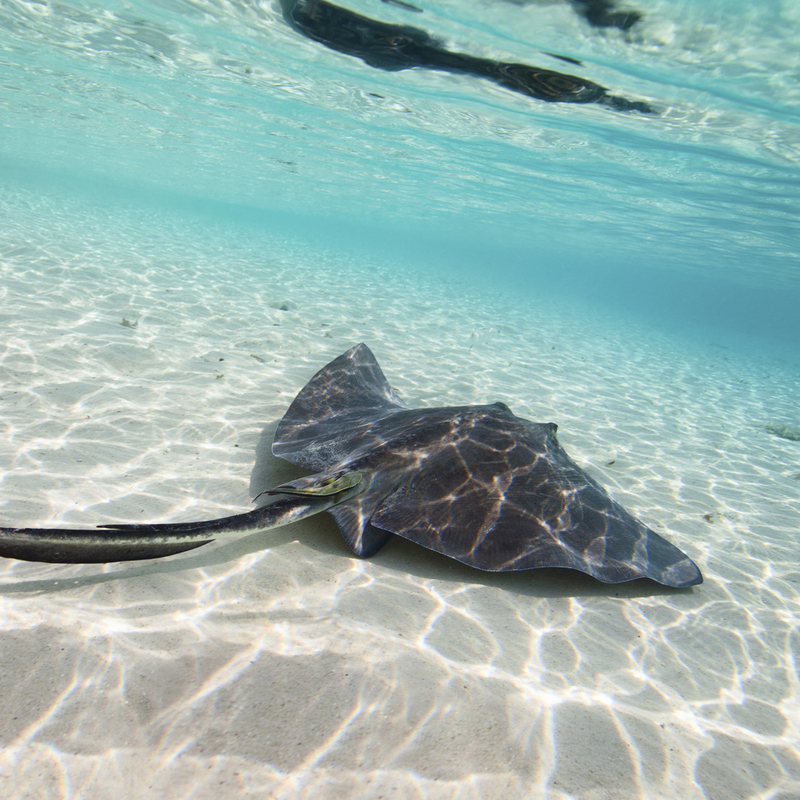 PLUS you can use your SEA LIFE ticket up to a year after purchase! 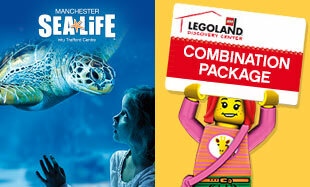 Buy our Ultimate Combi Package online and in advance to get entry to LEGOLAND Discovery Centre and SEA LIFE Manchester with two collectables. This is our BEST VALUE Ticket! Visit LEGOLAND Discovery Centre and SEA LIFE Manchester for one great, discounted price when you book online and in advance. When you visit, you'll get a LEGO collectable and a SEA LIFE Guidebook for each paying guest. 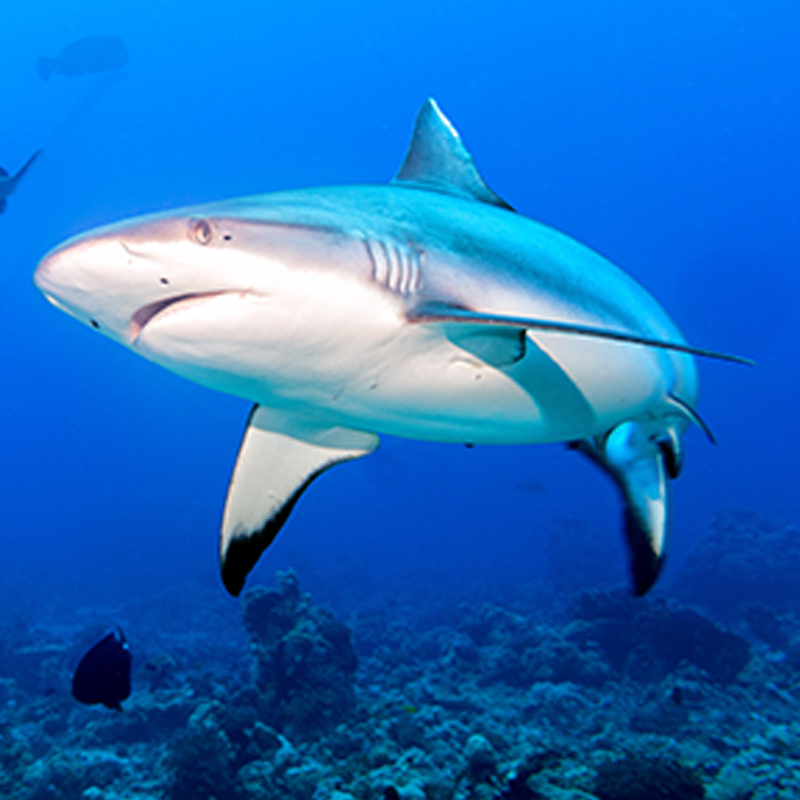 PLUS you can use your SEA LIFE ticket up to 1 year after purchase. Guarantee entry by buying our After School Club Ticket for just £7 pp! Make the most of this limited ticket by booking online to guarantee your entry to enjoy LEGOLAND Discovery Centre after school from 3pm-6pm during term times only. 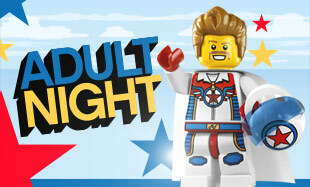 Enjoy an Adult-Only evening at LEGOLAND Discovery Centre Manchester - no kids allowed! This event runs from 7pm-9pm and guests must be over 18 to enter. 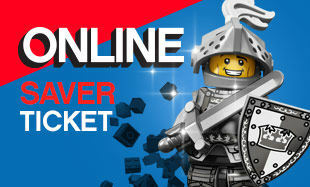 PLUS get exclusive discounts in the LEGO shop and enjoy our different themed events throughout the year. This event can get busy so book early online to avoid disappointment! When booking, you will be asked to select a date and time for entry. This is to ensure you have an enjoyable experience with faster entrance to the attraction. Adults (18+) must be accompanied by a child (17 or under) to enter. You have to book at least 24 hours in advance to guarantee the online saving. Please arrive 15 minutes before your time to ensure entry at the time selected. Guests that arrive after 7pm on the Adult Fans of LEGO Night will not be permitted to enter the event. We wish you luck in your campaign! T&Cs: As we run our own PPC Activity, we do not allow affiliates to operate PPC (This includes Brand Bidding and Direct Linking). Please ensure SEA LIFE is a negative keyword on phrase match if you use PPC Activity. This Summer, you can get great savings when visiting your local Dungeons, if you book online. 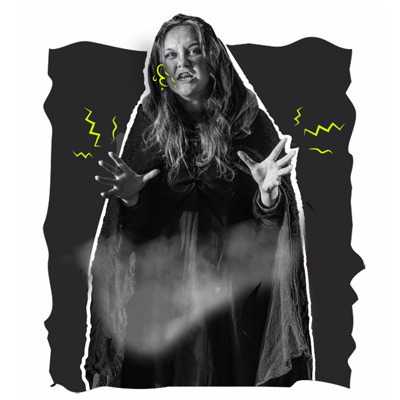 The Dungeons - Edinburgh: Save up to 20% by booking online, with our Entry Ticket (only available online). 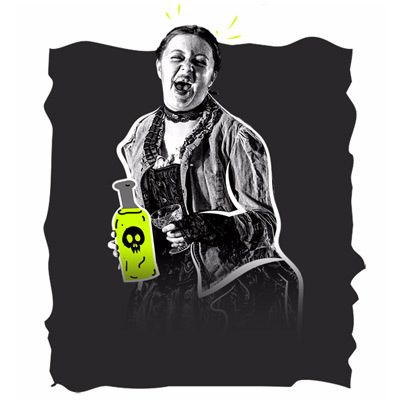 The Dungeons - York: Save up to 30% by booking online, with our Sinner's Saver Ticket. 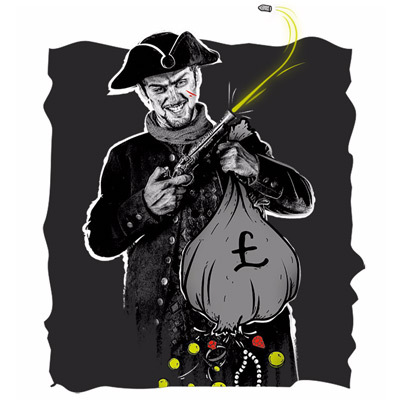 The Dungeons - Blackpool: Save up to 20% by booking online with our Basic Saver Ticket PLUS fast entry! And don't forget: It's always cheaper when you book online. Terms and conditions apply; see our profile for full details. Commission only valid for Dungeons in Edinburgh, York and Blackpool. As we run our own PPC, we do not allow bidding on our brand terms. The Ticket Factory - Years & Years, Disney On Ice, Boyzone, Beach Boys, Roger Hodgson and The Knitting & Stitching Show. The Ticket Factory are pleased to announce that tickets for Years & Years, Disney On Ice, Boyzone, Roger Hodson and The Knitting & Stitching Show are all on general sale this week. hair-raising quest to see the floating lights. Travel to mountainous Arendelle with Anna, Elsa and Olaf in a dramatic retelling of the sisterly love that saved a kingdom. And discover the strength, bravery and kindness that inspired generation after generation with Jasmine, Ariel, Aurora, Belle and Cinderella. See Disney On Ice Dream Big at the Arena Birmingham from Friday 19 - Sunday 28 October 2018. Tickets start at £21.14 and are on-sale Friday 22nd June at 9:00am. See Boyzone live at the Genting Arena, Birmingham, on Friday 8th February 2019. Tickets are on-sale Friday 22nd June at 9:00am. The Beach Boys return to London for two concerts at the Royal Albert Hall on 24 and 25 June 2019.
the band’s debt. Although their explosive debut was released over 50 years ago, The Beach Boys continue to create and perform with the same bold imagination and style, and few, if any acts can match their concert presence, spirit and performance. Universally acclaimed for his songwriting talents and role in international super-group Supertramp, Hodgson has spent the years since his departure from the band creating and writing music, and as a result, has become a greatly admired solo artist. The Knitting & Stitching Shows are the definitive events for anyone with a love of textile based craft. Their Autumn show at the iconic Alexandra Palace is the biggest textile event in the UK, with hundreds of workshops, demonstrations, interactive features, professionally curated galleries, as well as 300 exhibitors selling specialist craft supplies. Spend a day re-stocking your yarn stash, learning to knit, mastering the art of tailoring and more. There has never been a better excuse to get involved in craft! The Knitting & Stitching Shows are from the 11th - 14th October 2018 at Alexandra Palace, London and tickets are available now. The Ticket Factory - Nicki Minaj & Future, David Byrne, Bill Bailey and BLACK STONE CHERRY. The Ticket Factory are pleased to announce that tickets for Nicki Minaj and Future, David Byrne, Bill Bailey and BLACK STONE CHERRY are all on general sale this week. Global hip-hop icons Nicki Minaj and Future will be hitting the road together for the first time on their NickiHndrxx tour. Future just executively produced and curated the Superfly Official Soundtrack Album in addition to co-producing the film, and is set to release more new music very soon. While Minaj is set to release her anxiously awaited fourth full-length studio album “Queen” on August 10th. The multi-award winning artists are known for their high energy performances of their chart topping hits and together they are bound to bring the heat to the stage for an unforgettable night. Byrne will be performing songs from his critically acclaimed album "American Utopia", as well as classics from his solo career and his days with Talking Heads. A twelve-piece band will also join Byrne on stage for an Annie-B Parson choreographed concert that he has called “The most ambitious show I’ve done since the shows that were filmed for Stop Making Sense.” . BLACK STONE CHERRY are excited to announce a UK headline tour for this December. Their current sixth studio album, "Family Tree" landed at #7 on the Official UK Album Chart upon its release in April. This Half-Term, you can get great savings when visiting your local SEA LIFE, if you book online. SEA LIFE Birmingham: Save up to 35% off by booking online, with our Basic Saver Ticket. SEA LIFE Bray: Save up to 20% off by booking online, with our General Admission Ticket. SEA LIFE Great Yarmouth: Save up to 30% off by booking online, with our General Admission Ticket. 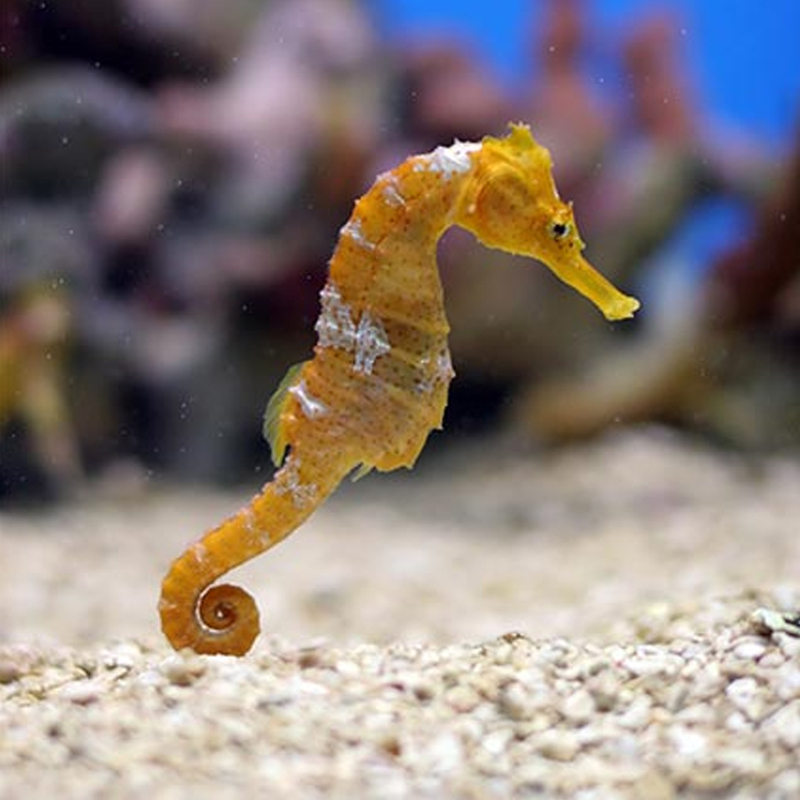 SEA LIFE Hunstanton: Save up to 40% off by booking online, with our General Admission Ticket. SEA LIFE Loch Lomond: Save up to 30% off by booking online, with our General Admission Ticket. SEA LIFE Manchester: Save over 25% off by booking online, with our Saver Admission Ticket. 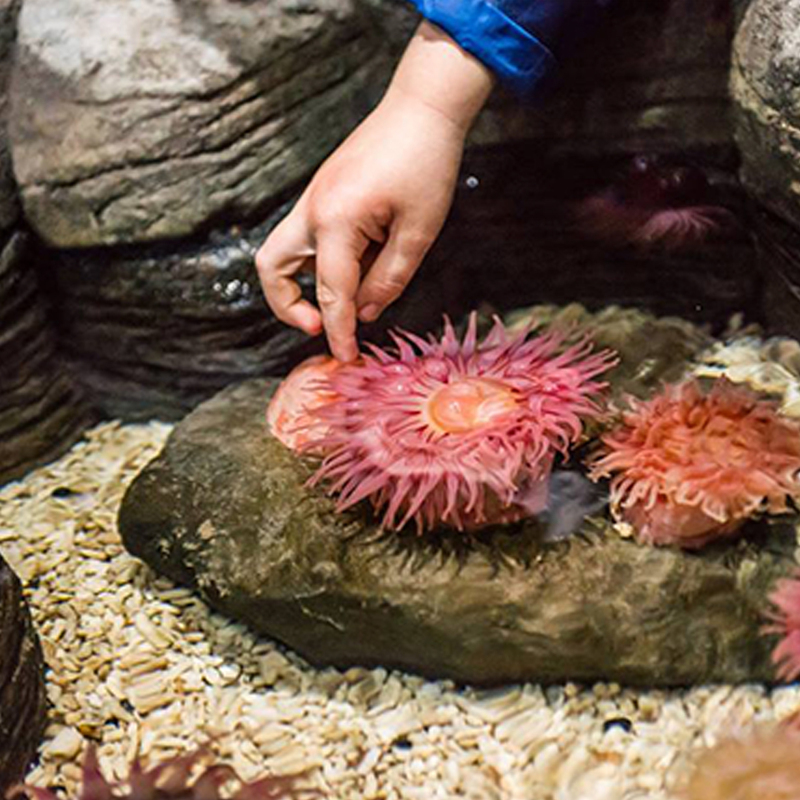 SEA LIFE Oban: Save up to 30% off by booking online, with our General Admission Ticket. 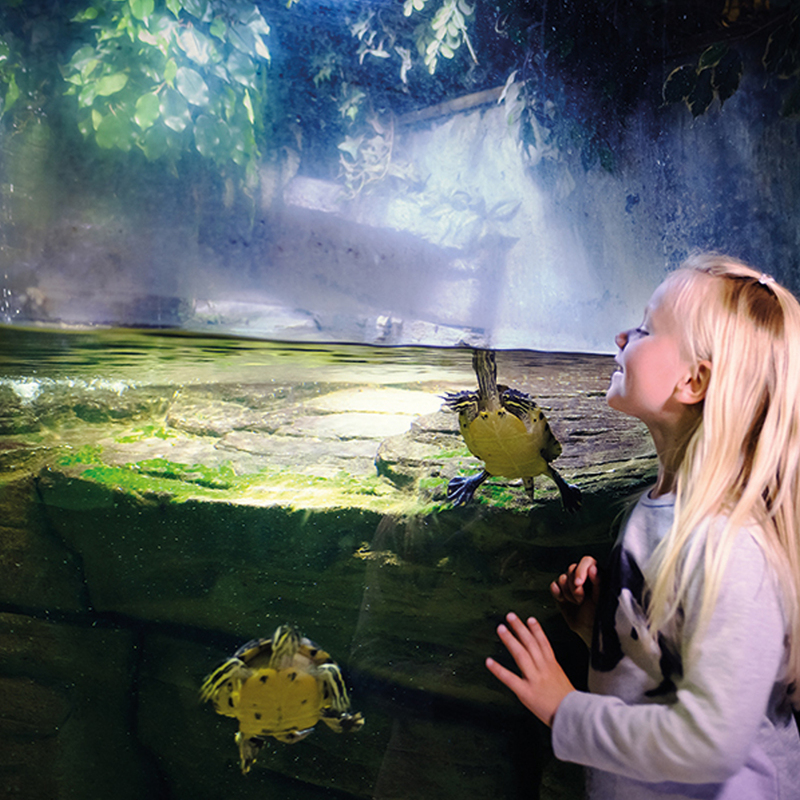 SEA LIFE Scarborough: Save up to 50% off by booking online, with our Silver Package Ticket. SEA LIFE Weymouth: Save up to 40% off by booking online, with our Silver Ticket. This Half-Term, you can get great savings when visiting your local Dungeons, if you book online. 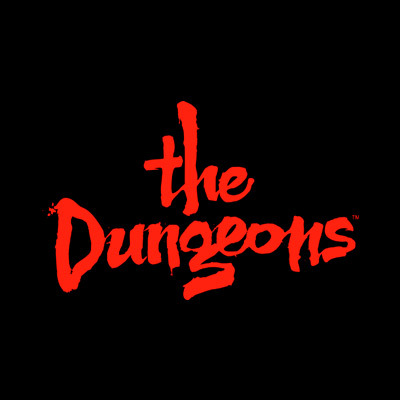 The Dungeons - Edinburgh: Save up to 20% off by booking online, with our Basic Ticket (only available online). 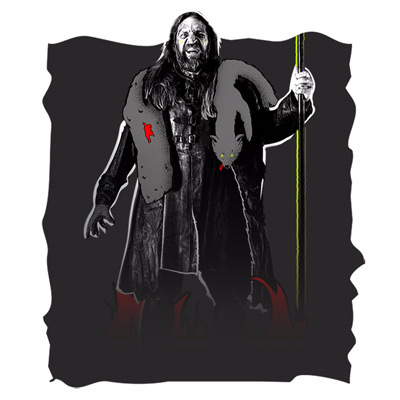 The Dungeons - York: Save up to 30% off by booking online, with our Sinner's Saver Ticket. are on sale to the general public from Friday 18th May at 10:00am with prices starting from £40.75. See Slayer perform live on Wednesday 7th November 2018 at The Area, Birmingham. Tickets start from £46.40 and are on general sale from Friday 18th May at 10:00am. The Ticket Factory - UB40 and Nightwish. The Ticket Factory are pleased to announce tickets for UB40 and Nightwish are on general sale this week. Birmingham’s world-famous reggae stars UB40 have announced a massive hometown show in Birmingham this December! Featuring UB40’s five founding members Robin Campbell, Brian Travers, Jimmy Brown, Earl Falconer and Norman Hassan, and long-time members Duncan Campbell, Martin Meredith, Lawrence Parry and Tony Mullings, the band return home to Arena Birmingham on December 21st! See UB40 on Friday 21st December 2018 at The Arena, Birmingham. Tickets are on sale to the general public Wednesday 28th March at 9am with prices starting from £44.14. Nightwish are coming to Arena Birmingham! See Nightwish on Monday 10th December 2018 at The Arena, Birmingham. Tickets are on sale to the general public from Thursday 29th March at 09.00 am with prices starting from £35.10. NEW for 2018! Go on a journey of discovery with extra bite! 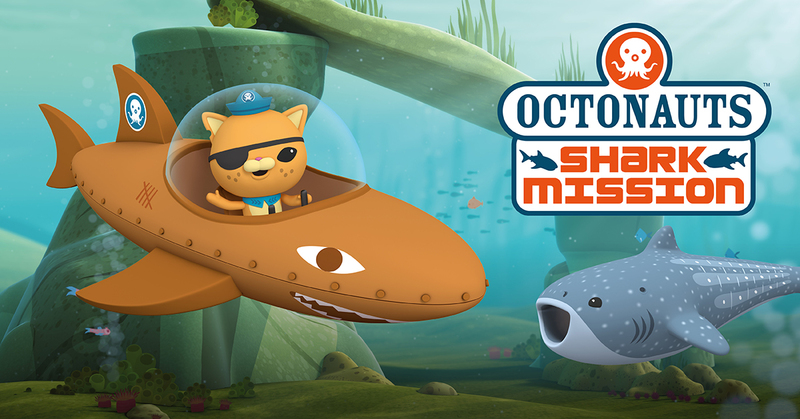 Come and join our Octonauts Shark Mission. Book now to visit this Easter. And don't forget: It's always cheaper when you book online. 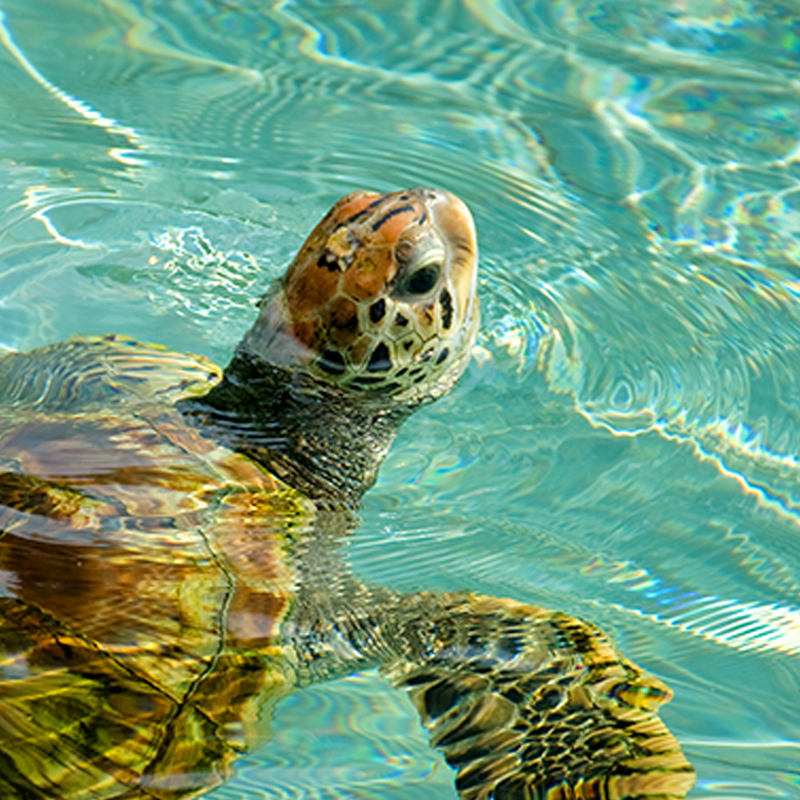 Book online with SEA LIFE Brighton and save up to 40%.